This little known cemetery of 1¼ acres is situated off Magdalen Street, bounding Bull Meadow on its east and close to the old Dissenters Cemetery which in turn is next to the former Eye Infirmary, now the Hotel Barcelona. 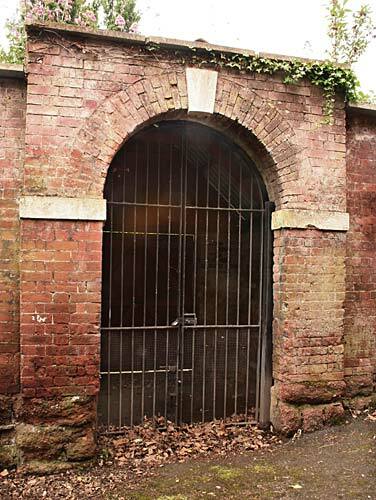 Surrounded by a brick wall, the entrance through an archway and locked iron gate allows an intriguing glimpse into a tidy resting place for the Jewish community outside the city wall. Jenkins writes that in the reign of Henry II (1154) "The liberty of burial in Exeter was at this time given to the jews, many of whom where then resident therein." The location of this burial place has been lost in the mists of time. Jenkins again noted that in 1274, Edward I banished the Jews from England "and banished them from the kingdom; many families of whom, at that time, resided in Exeter." Other histories date the banishment of the Jews from England to 1290. After their expulsion, the first European Jew to reappear in Exeter, was Jacob Monis from Padua, in 1724; soon, others followed, chiefly from Germany and the Netherlands. It was another 33 years before the small community felt comfortable enough to consider establishing its own cemetery, which took precedence over the founding a synagogue. A lease was issued to one "Abraham Ezekiel of the parish of St Kerrian in the city of Exon, silversmith" on the 18th of May, 1757, for a plot of land off Magdalen Street by "the brothers and sisters of the house or hospital of lepers of Saint Mary Magdalen without the South Gate". The land measuring 80 ft by 22 ft was leased for a period of 99 years or three lives "if the said Abraham Ezekiel aged thirty one years, Rose his daughter aged two years and Israel Henry the son of Henry Israel aged two years any or either of them shall happen so long to live." A charge was made of five shillings with an annual rent of ten shillings and sixpence, paid in four instalments on the quarter day to the house of Saint Mary Magdalen Hospital. Ezekiel was also required to construct an eight foot high wall of brick, stone or cob, topped with a coping. On the 17th of January 1803, the lease was revised to Moses Mordecai, silversmith, for a fee of five shillings, also for the term of three lives of "Solomon Ezekiel son of Ezekiel Benjamin Ezekiel of Newton Abbot in the county of Devon silversmith, now aged about seventeen years, Simon Levy son of Emanuel Levy of the city of Exeter silversmith, now aged about twelve year, and Jonas Jonas son of Benjamin Jonas of Plymouth Dock in the said county silversmith now aged about twelve years". 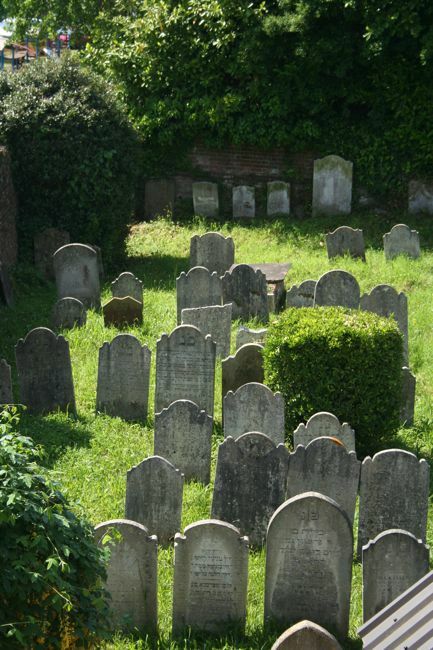 In 1827 the lease was surrendered to allow the burial ground to be enlarged which more than doubled its area. Again, in 1851, the ground was extended with an additional plot to the south, lengthening the burial ground, and a new lease for a hundred years was negotiated. In 1951, after the lease had been renewed several times, it expired without anyone noticing. 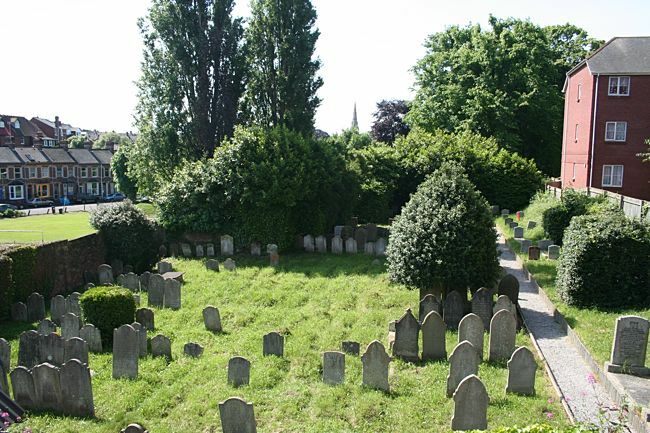 In the plan, of the early 1970s, to drive a new inner by-pass through Bull Meadow, to Holloway Street, it was proposed to compulsorily purchase the burial ground and exhume the graves. After much debate, the scheme was abandoned, allowing the Jewish community to purchase the burial ground from the successors of the St Mary Magdalen Hospital, the City Council, on the 18th December, 1977 for a fee of £750. The 18th Century wall and arched entrance to the burial ground is Grade II listed. Although the burial ground is still used for the occasional burial, many of the Jewish community are now buried in the Jewish section of Exwick Cemetery. A general view of the cemetery - Bull Meadow is to the left. A cluster of matzeva (macewa) jewish gravestones with Hebrew inscriptions.